What’s the relationship between Native American tribes along the Mexican border and immigration border patrol agents? Tucked into the southwest recesses of Arizona along the borders of California and Mexico, Yuma has become one of the epicenters of the border wall debate. 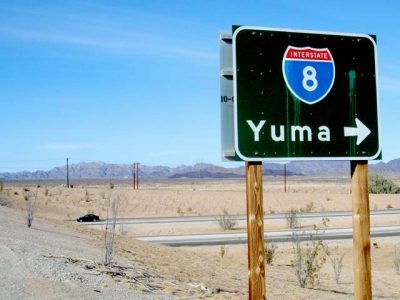 One of the hottest, driest, sunniest spots in the U.S. with one of its highest unemployment rates, Yuma is also a city, a county, a Marine Corps Air Station, a territorial prison, and home to the Cocopah Tribe. When President Trump visited Air Station Yuma in August, Elaine Duke, the acting secretary of Homeland Security, seized the opportunity to write an op ed in USA Today to declare that border walls work and “will save countless innocent lives.” Border patrol agents have seen the success firsthand, she wrote. She pointed to infrastructure investments made possible by the Secure Fence Act of 2006 that fortified the fencing at Yuma. The Yuma Metropolitan Planning Organization presented Paul Soto a special certificate for his tenure on the YMPO Executive Board. July 2015. Cocopah tribe members who live in Mexico cannot legally be recognized by the U.S. as tribal members if they are not also U.S. citizens. Still, Cocopah Mexicans “do come over when a relative passes on this side” for funeral ceremonies, Soto said, adding that the Mexican government was not particularly responsive to facilitating indigenous people crossing the border for such ceremonies. 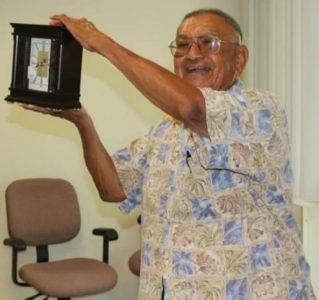 “They’re probably not interested at all because it’s a minute nuisance.” Regardless, Soto expressed the desire of Cocopah people to have “a lot more interaction” with the Mexican government. In October, eight prototypes for Trump’s proposed border wall were erected near San Diego’s Otay Mesa border crossing, about 175 miles due west of Yuma. According to CNBC, the company with the wall prototype that has the best overall design and function may end up with a contract with the U.S. government. All that is yet to be seen, however, as backlash against the wall plan continues both nationally and internationally and as Congress holds off appropriating the estimated $21.6 billion it would cost to build the wall. The Tohono O’odham Tribe, whose reservation is about 200 miles east of the Cocopah in Arizona have had a fair amount of media coverage concerning their views on the proposed wall and how their tribe currently handles people migrating across the border and into their lands. 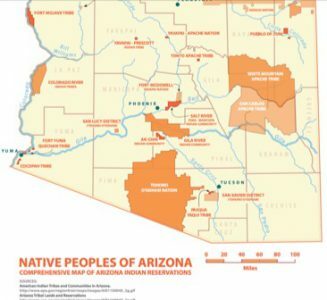 On their official website, the Tohono O’odham take a strong, anti-Border Patrol stance, remarking that U.S. Border Patrol has “detained and deported members of the Tohono O’odham Nation who were simply traveling through their own traditional lands.” The Tohono O’odham have the second-largest reservation of land in the United States after the Diné (Navajo), totaling 2.8 million acres. * All statements provided by Paul Soto are unofficial and are his own viewpoints.